I first met Celina and Eugene earlier this year when they came out to Media to my family's cafe, Seven Stones. I instantly clicked with this pair. They are both so different, yet so completely united in their adoration for each other. They have a mutual love for travel and adventures, really good food, and they both adore their fur babies, the Buns. Yep. That's right. 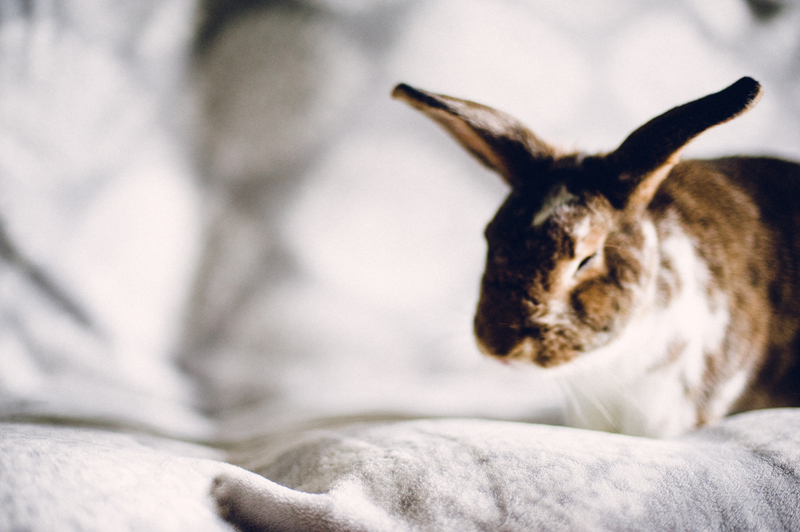 Eugene And Celina are parents to three adorable bunnies that hop around their house. It seemed ridiculous to me to not work the buns in to the plannings of their engagement photos, and C and E agreed! 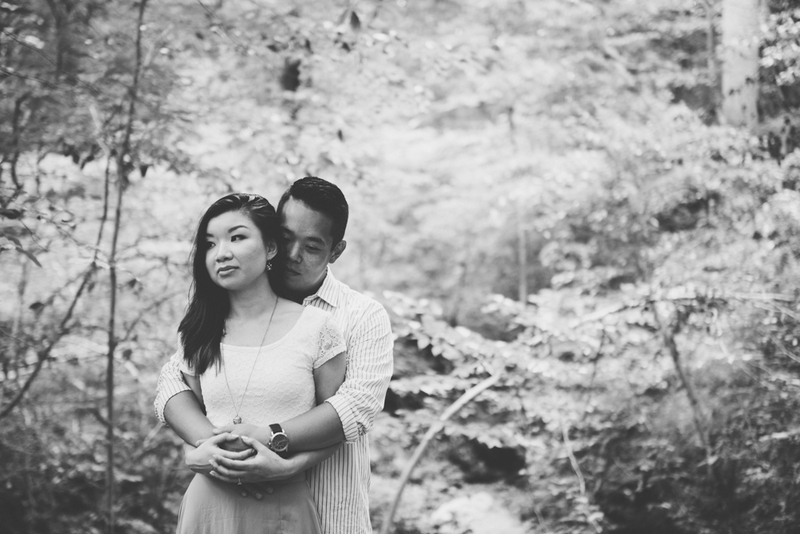 We decided to take some pictures in Ridley Creek State Park, and then head to Eugene and Celina's home for some images afterwards. We met and the sky was rather threatening, but in the end we only got rained on a little bit. Celina and Eugene scoped out some remote spots for the shoot, and I was thrilled that we did not see a soul the whole time we were out. I think between the darkness of the sky, and being in the woods, many of the images have a magical, otherworldly sense. 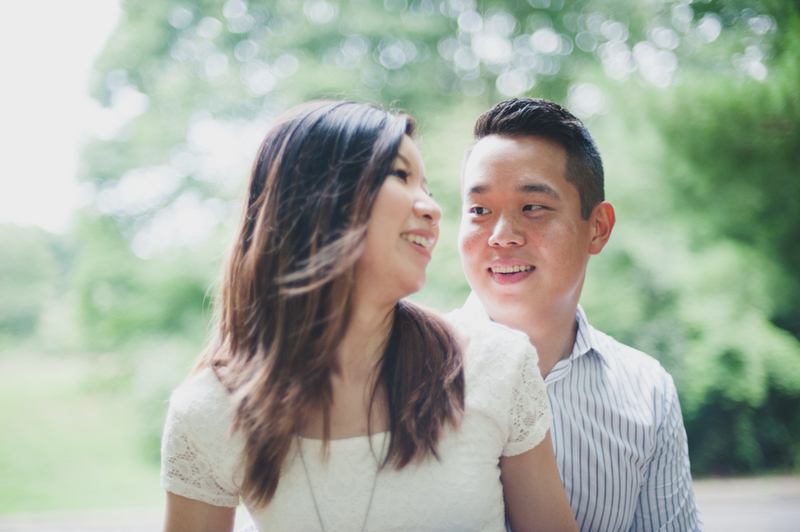 I really loved the time that I spent with Celina and Eugene, andI am excited for their wedding next September! Thank you Celina and Eugene, and the bunnies too!! I shot a combo of film and Digital, The film shots, are the first six. Kodak Portra 400 film shot with my Nikon F100. I just love love love this combo. The greens are perfection.